The Art Department here at Brampton College promotes the development and practice of skills and develops students’ visual awareness and conceptual thinking, in a world that is increasingly dominated by visual information. 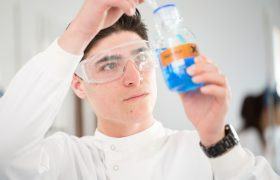 There is an emphasis on experimentation, and students are encouraged to work in a dynamic and energetic way, as well as with sensitivity and care. We have textiles facilities, enabling students to learn a variety of textiles techniques, utilising the sewing and embellishing machines, as well as a spray painting room. We also have a photographic darkroom dedicated to black and white processing and printing. Other facilities available to students include oil painting, printmaking, 3D modelling, digital photography and image manipulation. Art is a challenging and demanding subject, where students are required to think independently and develop their ideas in a personal way. In the Art Department we set high standards according to individual ability, aiming to draw out individual creative talents, encourage self expression and promote the pushing of boundaries, in a supportive and structured environment. Art is an enjoyable and rewarding subject and more than anything, our aim is that the students experience it as so. 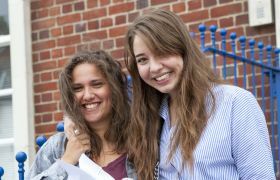 Students complete two units of work in both the upper and lower sixth courses. 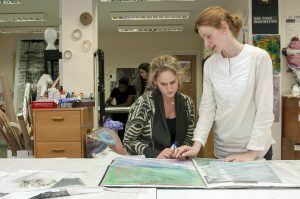 In the first year students are given a broad introduction to skills and techniques, with a strong focus on drawing and experimentation. Beyond lessons, they are encouraged to explore and develop their skills on their own. Homework tasks are set which support this and also the development of ideas through research into artists. In the second year, students work independently, having the opportunity to further develop their skills in a particular area. Regular tutorials are given to discuss their projects. The A level coursework unit is a personal project for which students choose their own theme in discussion with their teacher. For the exam units students respond to themes set by the exam board, in a personal way. Students record the development of their ideas in sketchbooks. These often include hand-made books, photobooks or visual diaries which students are encouraged to develop over the summer break. A strong emphasis is placed on developing sketchbooks and a lot of time is devoted to working through ideas in both an experimental and considered way, to produce visually exciting books. These books form a strong element in students’ portfolio applications for foundation courses. Each unit of work then culminates in a final piece, where students develop a technique or process in an ambitious and highly developed way. The department supports visiting artists and teachers and is keen to make connections with other schools. In past years recent graduates from the Royal Academy Schools visited the department to offer one to one tutorials with students. This gave students real contact with young emerging artists and enabled them to gain an insight into studying at art school. We also annually participate in the Royal Academy Outreach Programme which consists of a one day life drawing workshop, allowing students to work from the unclothed figure in a challenging and diverse way. Hannah teaches on all the art courses and is a practising artist. She studied Fine Art at The Ruskin School of Drawing and Fine Art and Glasgow School of Art. Hannah was also chosen to be included in ‘100 Painters of Tomorrow’, a publication from Thames & Hudson. 100 Painters of Tomorrow was the result of a major new project to find the 100 most exciting, up-and-coming painters at work today. Hannah has been selected from more than 4,000 entrants, coming from over 30 countries. 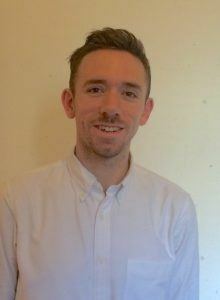 Adam studied Fine Art at both the Royal College of Art and the Slade School of Fine Art before completing a PGCE to begin teaching. He has exhibited in New Contemporaries and the Jerwood Drawing Prize and specialises in painting and drawing. 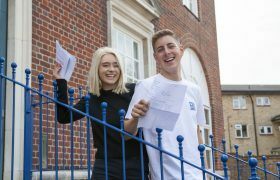 Students have been awarded places at top University art departments including the prestigious University of the Arts colleges – Chelsea, Central Saint Martins and The London College of Fashion. 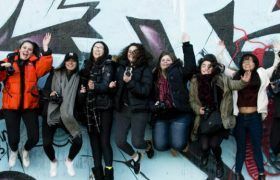 Students have also gained places further afield at The School of visual Arts and Parsons School of Design in New York.